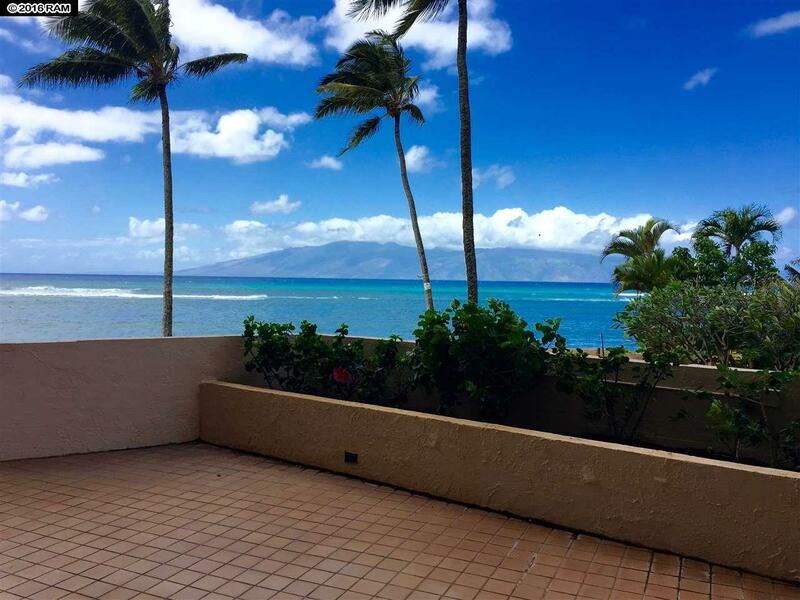 This inviting, open and airy ground floor One Bedroom unit faces northwest towards Molokai with stunning views of the blue Pacific. 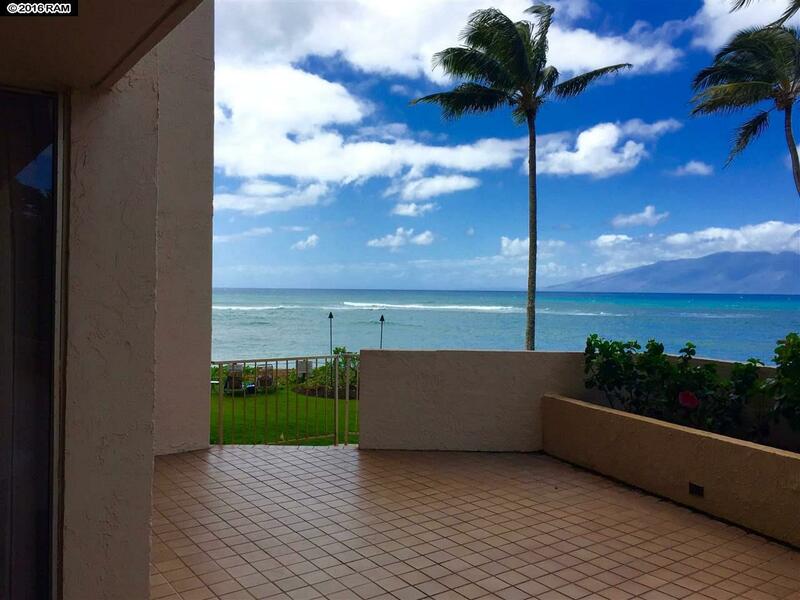 This unit is steps from the water Relax on the lanai during whale season and sit back and enjoy the show. This unit has a fully equipped kitchen, dining and living areas, is air conditioned and has a washer and dryer. There are many shopping and dining options within walking distance. The Resort boasts a beautiful ocean front location. 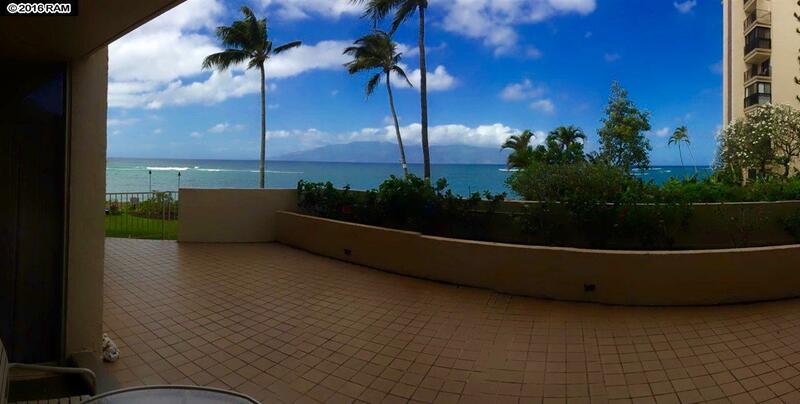 The Royal Kahana is conveniently located between the Kaanapali and Kapalua resort areas adding a multitude of nearby activities and attractions. The Resort features some wonderful amenities such as; shuffle board, a heated pool, barbecue area, fitness center, meeting rooms, business center, an activities desk in the lobby and underground parking. The Royal Kahana offers everything you would want in a resort within a unique Hawaiian experience. What are you waiting for? 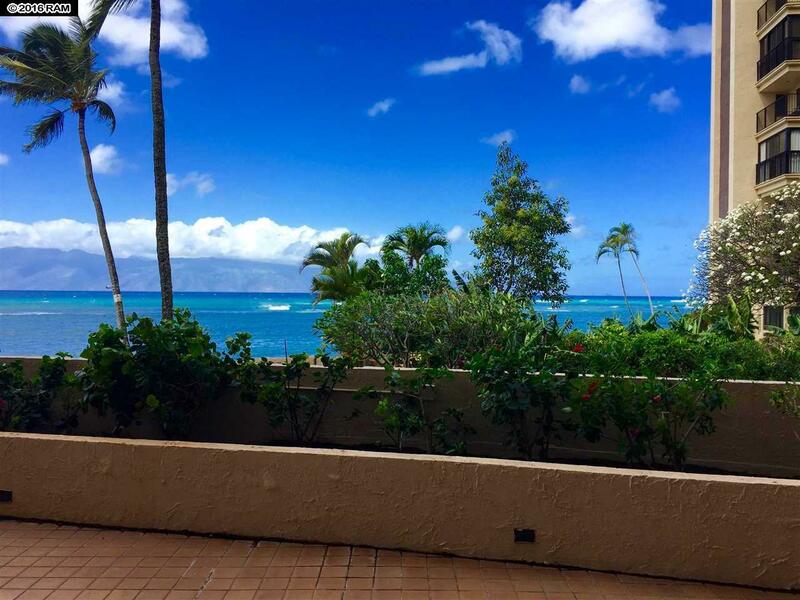 See what Royal Kahana owners have enjoyed for years! Monthly maintenance fees include electricity and basic cable in addition to water, refuse collection and common area care.